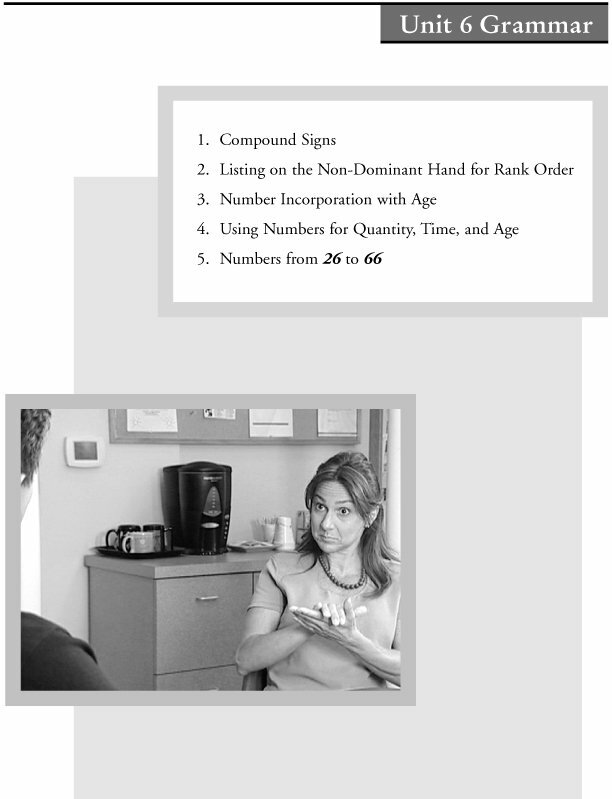 Divided into 16 instructional units, ASL at Work is designed to enable students to develop the skills and knowledge needed to communicate effectively with their Deaf co-workers, students, and clients in work and social settings. 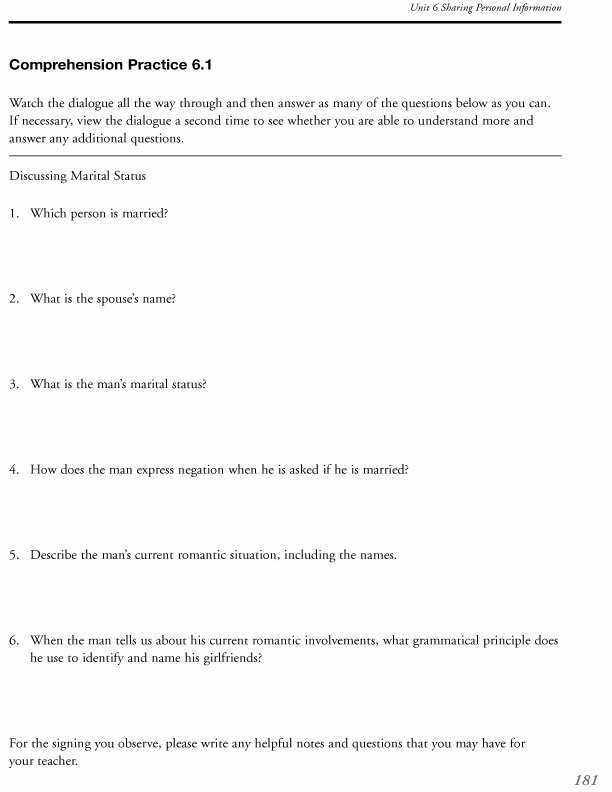 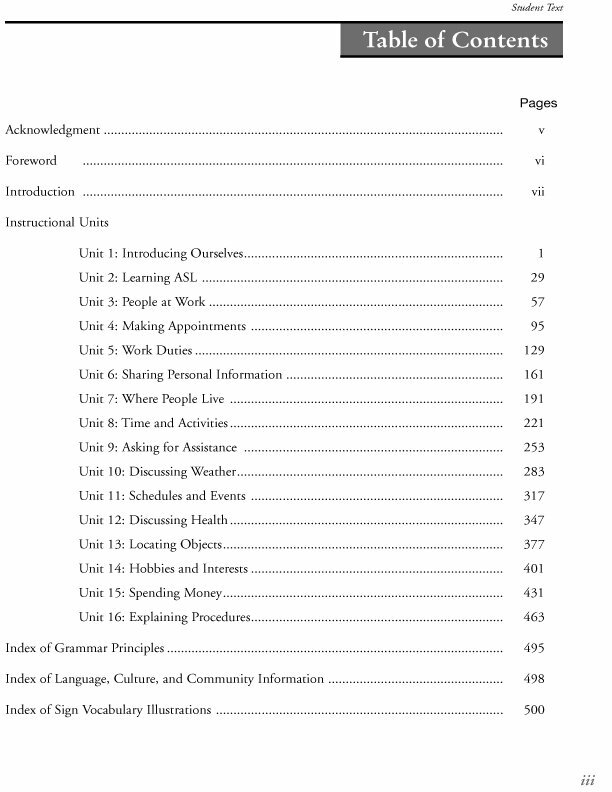 Each instructional unit in the Student Text has a Unit Overview with learning outcomes, a listing of vocabulary, full grammatical and language, culture and community explanations and a practice and review section with accompanying DVD which provides students with targeted outside of the classroom practice to develop expressive and receptive skills. 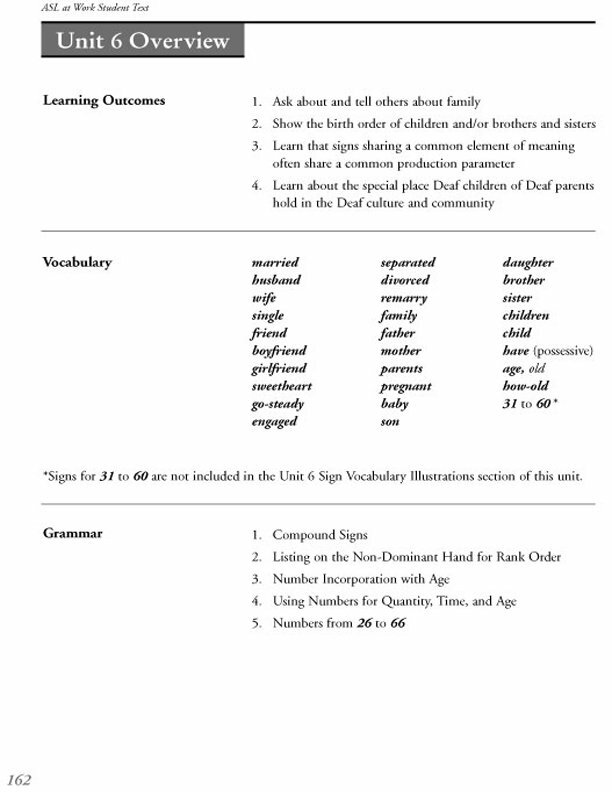 The Student Text is beautifully illustrated with line drawings depicting sign vocabulary and grammar. 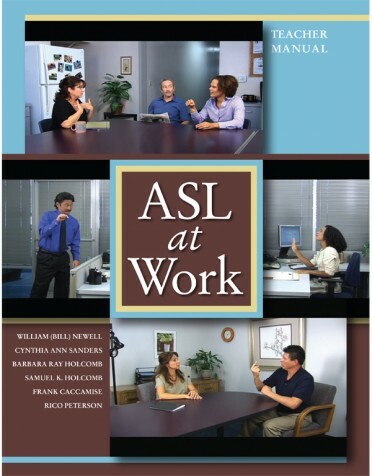 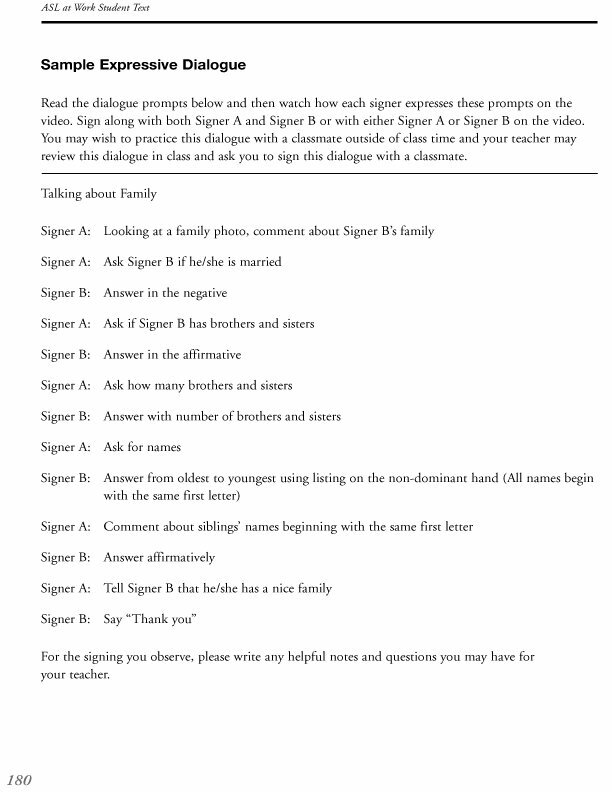 Each unit on the ASL at Work: Student DVD provides a Sample Expressive Dialogue, Comprehension Dialogues and Narratives and demonstration of Expressive Practice Prompts to give students practice outside of the classroom with both receptive and expressive skills. 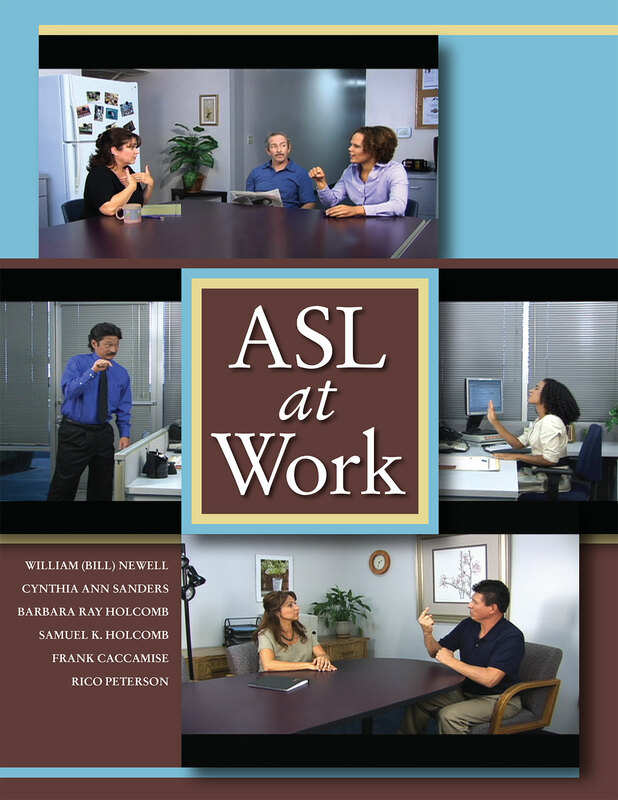 CJ Jones, Deanna Bray, Rosa Lee Timm and other well known Deaf talent provide a variety of ASL models for students on the DVD. 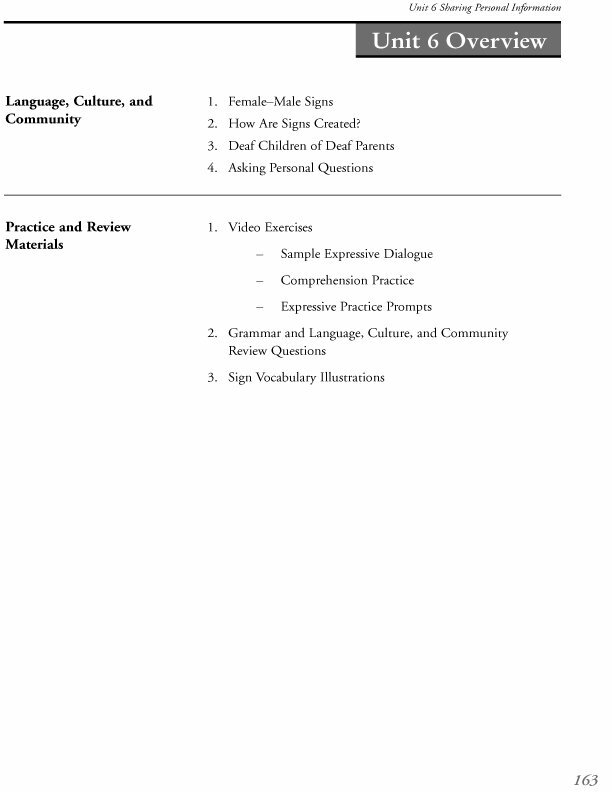 From the first lesson, ASL is “at work” for both the teacher who is teaching American Sign Language and the students who are learning ASL. 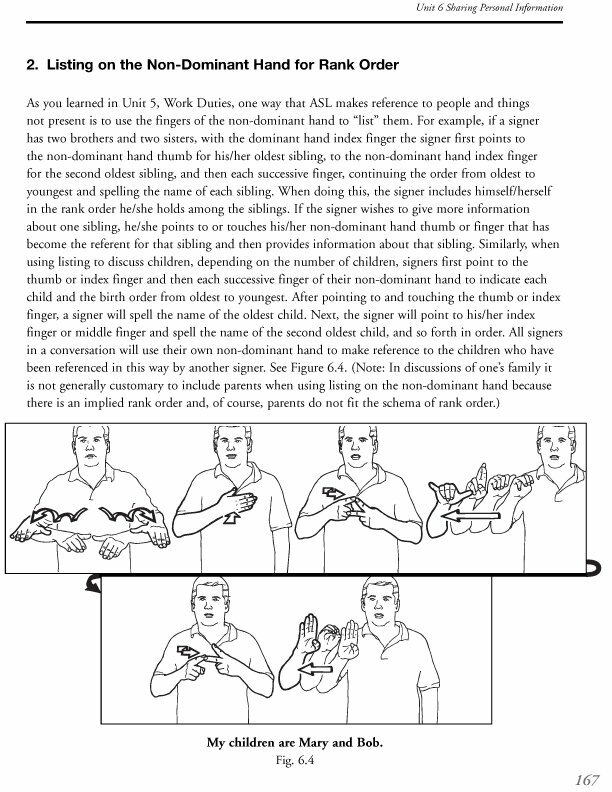 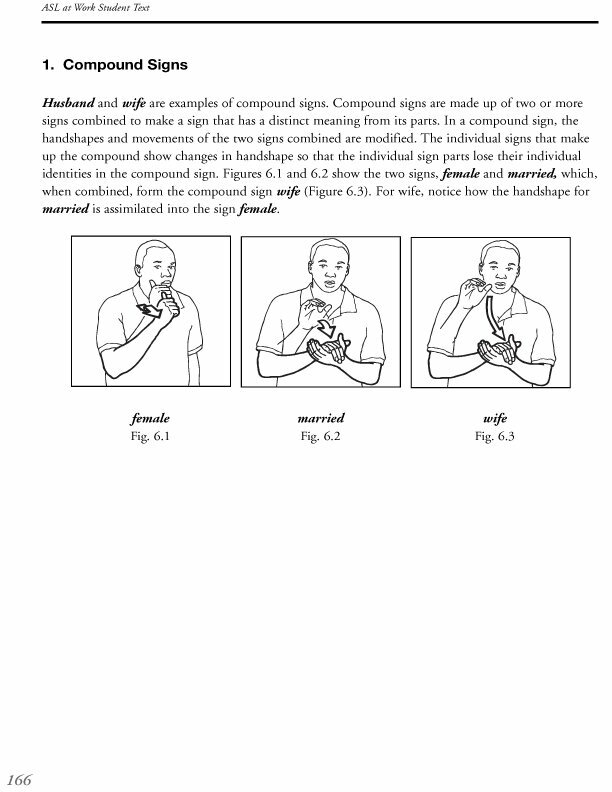 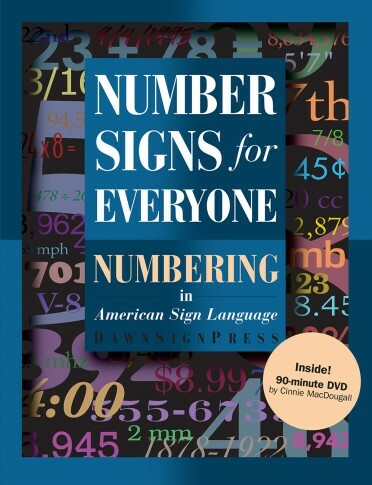 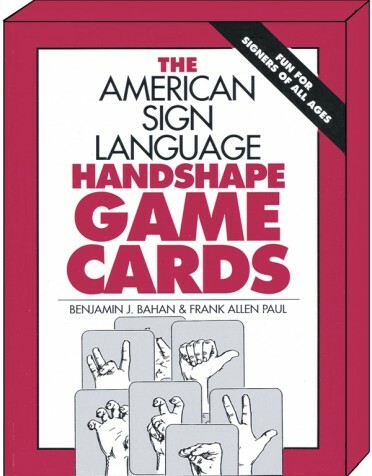 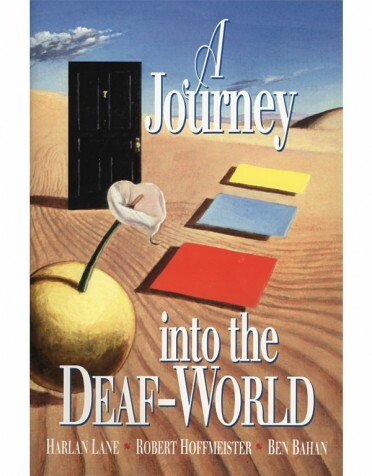 This book is automatically included with any order of ASL at Work Teacher Manual.